I love graphic tees, but one of the hardest things is learning how to wear one while still feeling “put-together”. There are a couple rules I follow when choosing how to wear my go-to tee, but I still find myself going online for some daily inspiration. 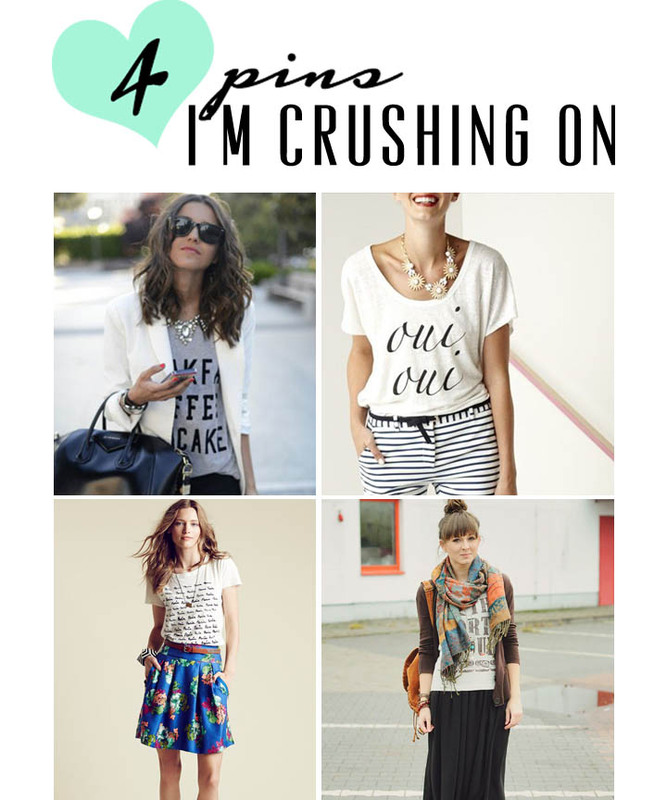 I love how these Pinterest ladies styled their graphic tees and here’s why! 1) When wearing a graphic tee my first reaction is to add some structure. A blazer over some skinny jeans is a perfect way to achieve this. Add some bling on top of the look and you are street style ready! 2) Sometimes something as simple as tucking your tee into a pair of tailored dress pants creates such a dynamic look! I love how simple yet classic this look is! It is an interesting take on casual friday! 3) My absolute favorite way to dress up a tee is tucked into a skirt! Especially a graphic pattern such as this bright blue floral! The weight of the patterns mixes perfectly creating such a chic look! 4) I love a boho look such as this one! Leaving the tee untucked over a maxi skirt adds some interesting variety to the outfit. 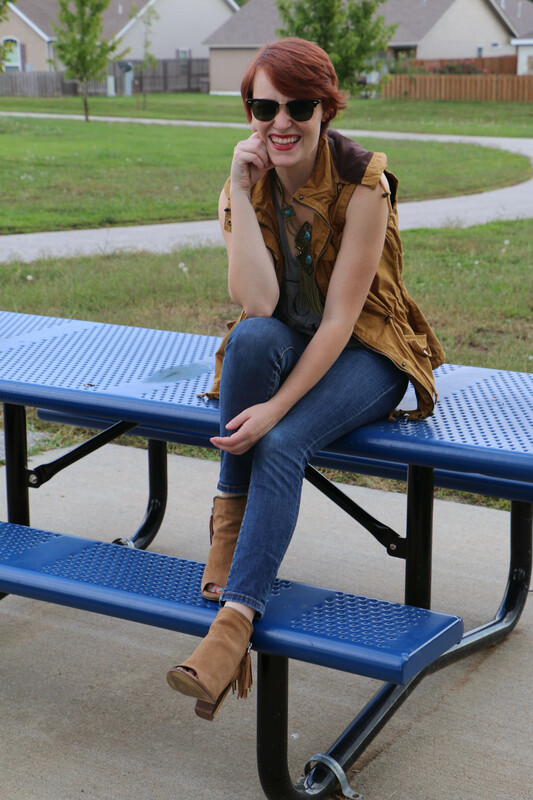 Add a bulky scarf and a cardigan and you are ready for fall! 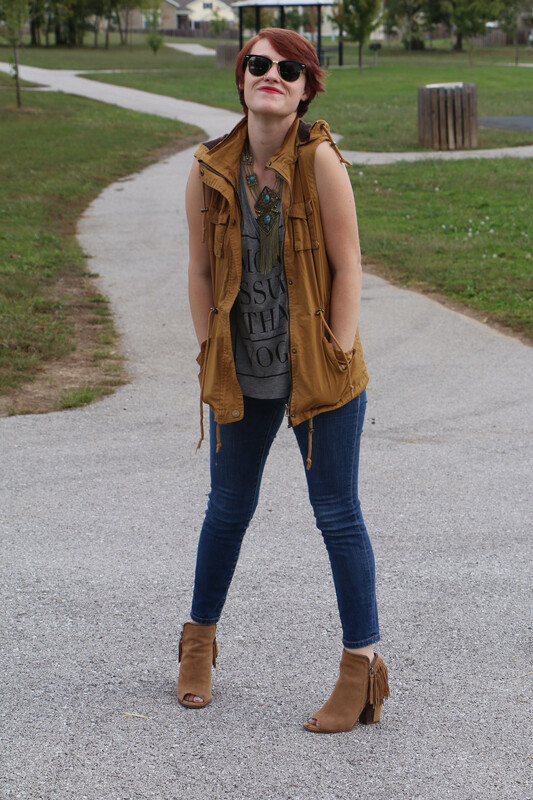 A vest adds some structure and layers to my look while still keeping a bohemian feel. 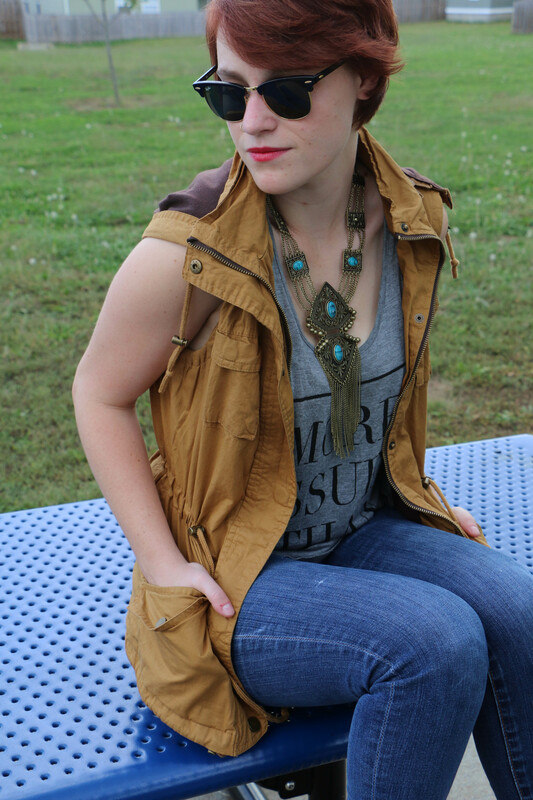 My chunky and eclectic necklace adds some color to this otherwise neutral look and tie in perfectly with my fringe booties. This outfit is super simple and comfy! It is a perfect way to wear my favorite graphic tee without compromising on style! Absolutely perfect! Warm enough for those random chilly days, but it can also be worn on the hotter ones as well!